Professionals and members of the public are encouraged to contact the OHSC for all general enquiries. 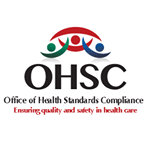 Submit related queries or requests for further information to the OHSC Office of the CEO. Executive Manager: Office of the CEO. 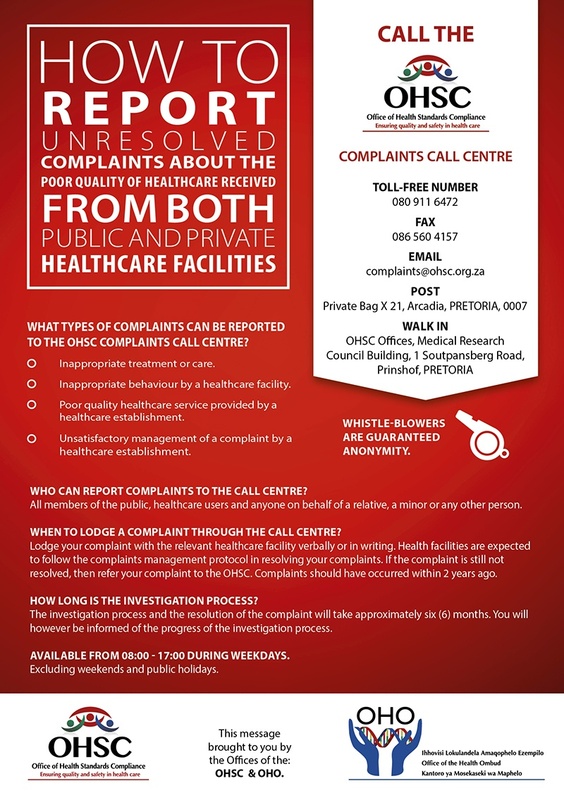 The Complaints Call Centre, is tasked with investigating and disposing of complaints about poor healthcare from patients and their family members and from employees in the healthcare system. Submit a complaint about any health establishment. Submit an media related queries or requests for further information to the OHSC Stakeholder & Communication team.